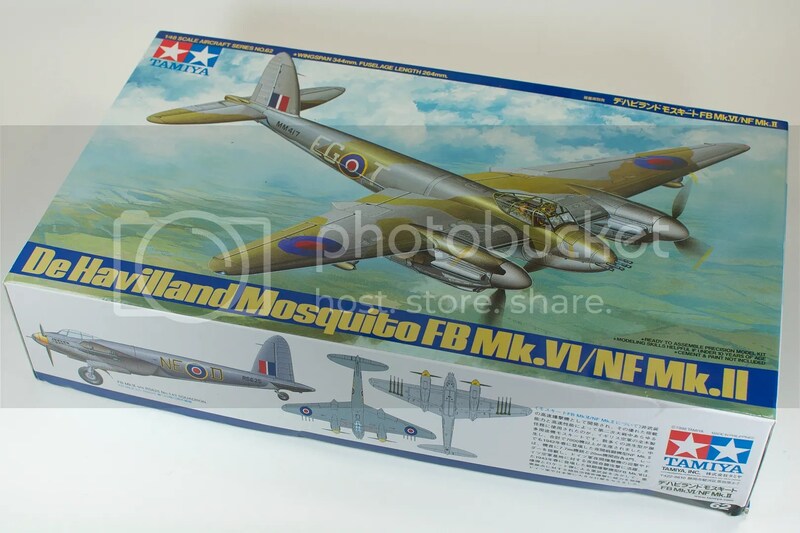 I’d originally intended to build Tamiya’s Mosquito NF.II as something of a palate cleanser…a nice simple build to enjoy between more intensive efforts. And so far, it’s exactly that, but it’s also morphed into something else. A trial run. 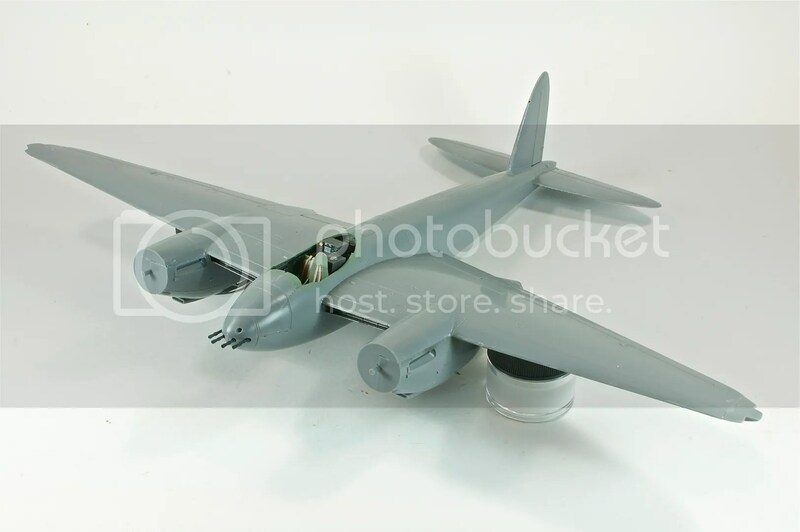 While I’ve opted to build this particular Mosquito in the early all-black nightfighter scheme, I’ve become rather taken with the “Night Intruder” variant of the NF.II. While the nightfighters were occupied with air-to-air engagements, and knocking Luftwaffe bombers and nightfighters out of the sky, the Night Intruders were very much the Inglourious Basterds of the skies. Their job – to spread chaos and confusion. One favorite tactic involved loitering near German airfields and then pouncing on anything that tried to take off or land. Somehow, the idea of portraying one of these hard-living Mosquitos operating out of the harsh conditions of Luqa Airfield on Malta just seems really appealing. Especially with the addition of an Aires engine set. 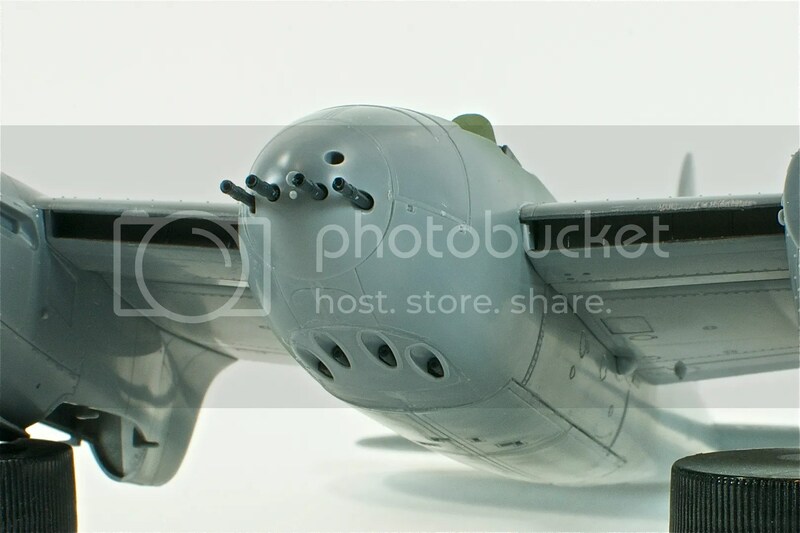 Actually, I’m thinking a diorama depicting a Mosquito having a shot-up engine replaced may be just the thing. And for that reason, a lot of this build has become more about familiarizing myself with the kit and how it goes together, so I’ll be prepared the next time around. 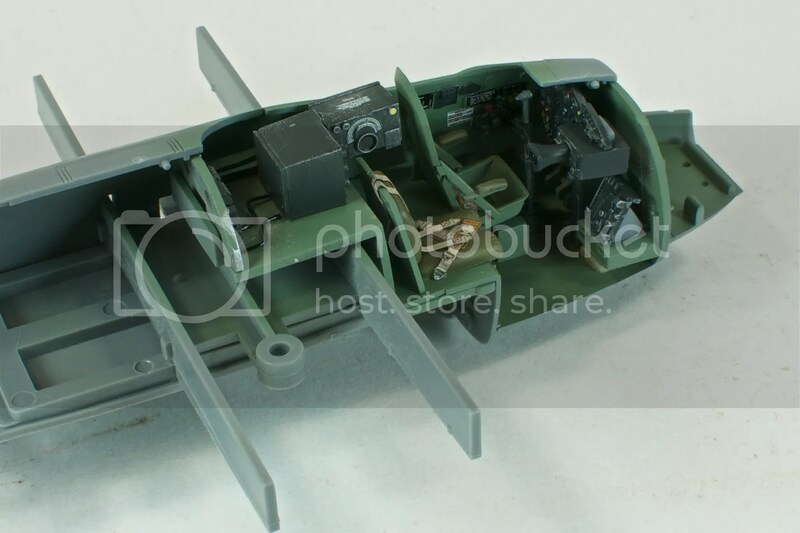 The Mosquito’s cockpit is arguably the most complex I’ve dealt with to date, but the Tamiya kit is well-designed and everything goes together with ease. That and, since I’m taking a very light hand on the weathering this time around, the painting phase went very fast. The only hiccup came from the Barracudacals instrument panel stencils. These come as two parters – the first being the black gauge backgrounds and a few red/yellow/blue bezels, and the second being the white tick marks and gauge needles. Positioning one decal over an IP is always tricky. Lining up two? Way harder. I actually had one come away on my finger and curl up. Almost lost it, but managed to fight it mostly back into place. Considering the Mosquito’s extensive greenhouse, I figured there wasn’t much point in striving for perfection when nobody would be able to see more than a vague impression of the panel anyway. Here’s the cockpit after preliminary painting. I added a raw umber artist oil wash on top, but that’s it. It seems I’ve been building a few kits of late that call for a lot of mid-assembly prep work. 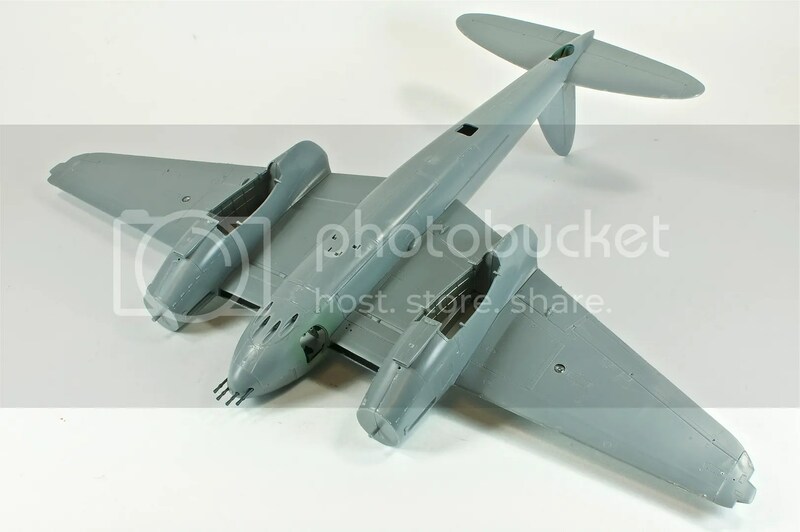 Or at least, it felt like it when I was building up the Mosquito, as it went from a collection of parts to an aircraft over the course of pretty much a single night. The fuselage falls together perfectly, right along all the panel lines, with no gaps or steps. I think I’ll probably end up using a bit of putty along the centerline, but that’s more standard procedure than anything. The wings attach very securely thanks to the integrated wing spars. 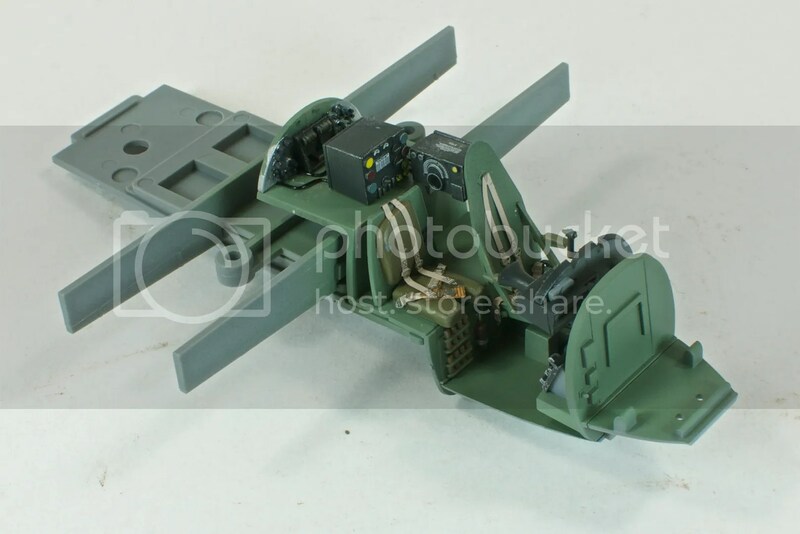 The only letdowns for me were the gun bay access door, which seemed a bit narrow, and the horizontal stabilizers, which didn’t lock in the way I’m used to with Tamiya. But neither are dealbreakers. The kit guns leave something to be desired as well. 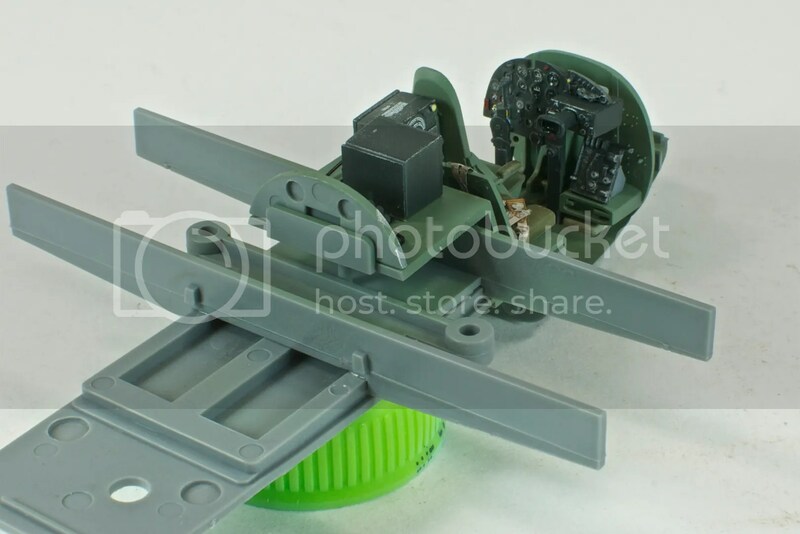 Both the .303 machine guns in the nose and the all-but-invisible 20mm cannons in the belly are molded solid, so I opened up the barrels with a drill and a #11 blade. When it comes time to do the Night Intruder, I’ll be upgrading to Master’s .303 barrels. At this point, the Mosquito is looking very much like a Mosquito. I still have some fiddly bits to attach before painting…namely the radar antenna and the dipoles in the wingtips, but I want to wait until sanding is out of the way before tackling either of those, for fear of knock them off. After that, it’ll be on to paint.